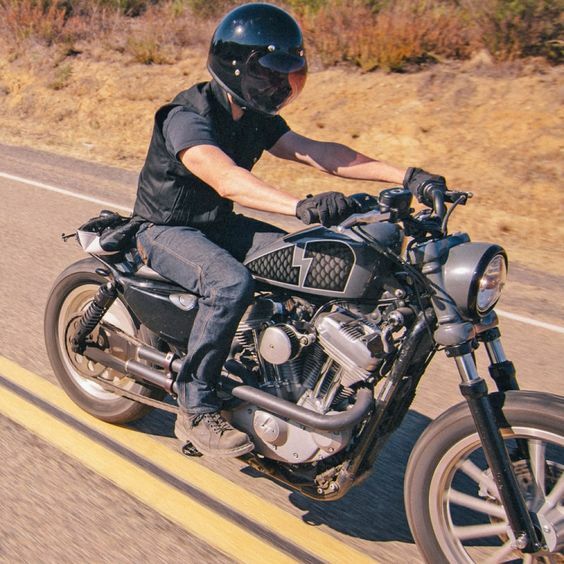 When it comes to motorcycles, there are a plethora of myths out there. Most of them have arisen due to ignorance and misplaced facts and the sad part is that some of the conventional wisdom is just plain wrong. So let’s burst the most stubborn myths about motorcycle riders which are in existence for ages. The first thing you will learn from the research is that motorists who wear helmets crash less frequently than those who don’t. In 2014, more than 250 people lost their lives while driving two-wheelers without helmets. Sadly, most of them were teenagers and some of them were in the early twenties. As per the law, helmets have to provide at least 210 degrees angle of vision to the wearer. It means helmets would not hinder critical or potential vision. Also, helmets do not substantially restrict the ability to hear. The noise of the engine is loud enough to be heard within a helmet. There is no reason to avoid helmets which not only cover the head but also keep wind, rain and bugs off your face, and thus, ensure a distraction-free ride. Some riders may not wear helmets and other safety gear; however, most riders ride as safely as possible with all safety measures in mind. In your daily commuting, you can see many riders who are in full leather protective gear, including helmet and gloves. Gone are those days when two-wheelers used to be the trademark of the Indian middle-class family. Now the prices of motorcycles are on par with cars. Luxury bikes cost even more than four-wheelers. Just to give you an idea, the price of Harley-Davidson CVO motorcycle is around Rs 49 lakhs. Similarly, XDiavel motorcycle is priced at Rs 15.87 lakh. Believing that your superior bike skills will keep you away from troubles is merely a dream, even if they are very good. Just because you have been riding for years without falling or meeting an accident doesn’t mean that you are immune to accidents. Accidents come unannounced and sometimes happen due to the fault of another person. Therefore, irrespective of your experience as a biker, it is important to ride cautiously to avoid situations that can otherwise turn ugly. Also, make sure you never ride without two-wheeler insurance as comprehensive bike insurance insures your bike against physical damage, third party liability and theft. Moreover, you can go for long-term bike insurance which covers your bikes for up to three years in one go as against the regular annual cover. Accidents happen in a fraction of second that you simply don’t get time to think about it. It is also a bit odd that you try crashing your bike before potentially hitting whatever risks you are about to encounter. Instead of laying down your motorcycle, cut as much speed as you can, stay upright and make use of brakes. It’s a common stereotype that motorists don’t drive a car but the opposite is true. Especially, in India where traffic is a huge problem, many people prefer to ditch their four-wheelers during rain and choose motorcycles to travel. On a bike, your gender doesn’t matter and it is further proved by the fact that the USA-based Triumph, which entered the Indian market in 2013, has so far sold 50 of the 3,000 bikes to women. Also, Harley-Davidson India had 12 women buyers between 2010 and 2013 and has had 38 women motorcycle buyers since then. Over the last few years, more and more women have started riding motorcycles rather than riding pillion. While the number of women bikers in the India Bike Week, one of the biggest yearly biking festivals in India, was close to 1000 in 2014, it was around 2500 in 2015. At present, there are various female biking clubs across the country with names like Lady Bikers, Lady Riders, Hop on Gurls, Biking Queens, REgals and Bikerni. Though modern motorcycles are reliable, it doesn’t mean you can go on touring on any bike. A large displacement bike is almost the right choice for a long journey. A large engine can better take the stress of running for a long time continuously than a smaller engine. Besides the engine, there are other aspects also which should be considered, like tyres and places to be visited, etc. You may not realise it, but alcohol increases your reaction time. As your age increases, your metabolism also come down, which means the effect will take a longer time to wear off. Also, you should remember that in case you meet with an accident after having a drink, the blame is likely to shift on you even if it was not your fault. Sports tyres are sticky and give better grip only when they are heated up to a certain temperature— a temperature which you are unlikely to achieve outside the racing track. Also, sports tyres are designed for a specific purpose, i.e., to perform well on racing courts, and thus, they are not meant for your daily commuting. Sports tyres wear out a lot faster than normal road tyres. Although a leather jacket has long been associated with the biker culture, it is preferred more because of its unique attributes than how trendy it looks. Leather enjoys great resistance to abrasion, and thus, keeps riders safe from scratches and cuts. It also acts as an insulator and gives warmth during winter. Many people believe that loud exhaust pipes grab the attention of nearby motorists and reduce the number of accidents. However, it is a wrong assumption. The loud sound of the exhaust pipes is directed rearward and therefore, on highways, they are likely to be heard only by a driver in front of you. Also, in most of the cases, people often have their windows closed and radio on. 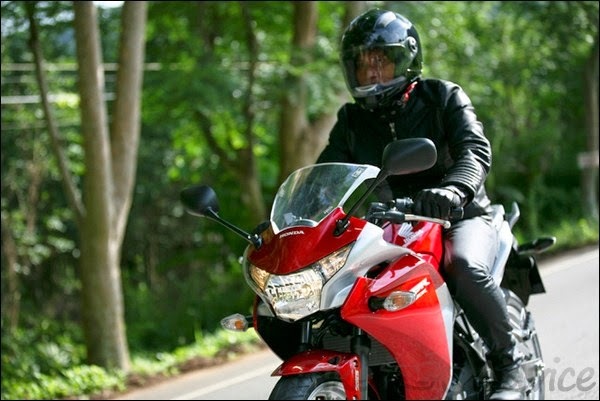 To avoid accidents, the best way is to be seen not heard, so turn to a bright jacket or helmet. Myths belong to fairy tales and therefore if next time someone tells you that black bikes are safer than red ones or bikes are more prone to accidents, ask the concerned person to validate the point. Don’t base your riding choices on the beliefs of other people, unless there is a science behind it.